Click here to purchase this book! Created in God’s image, our emotional/psychological selves and our spiritual selves are intricately intertwined. Survivors’ views of God can become so distorted that their ability to utilize spiritual resources may be limited. Understanding why they may struggle spiritually will help you deal with potential barriers to their spiritual growth. 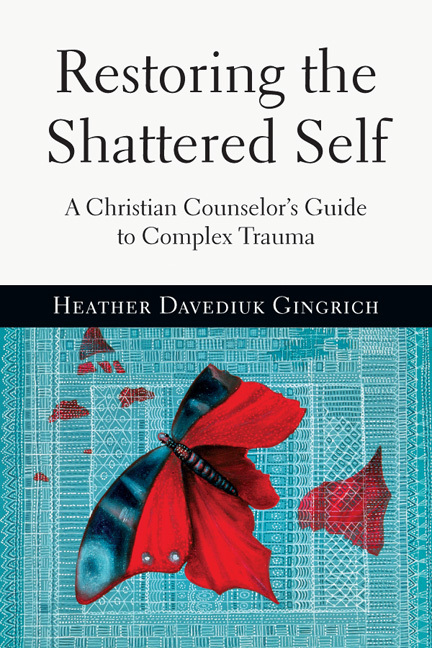 How can you benefit from reading Restoring the Shattered Self? In the book I walk you, step by step, through therapeutic work with survivors of complex trauma. Knowing your limitations is essential, but you can be a tremendous asset. You have wounded sheep in your congregations and you may be struggling to know how to best help. Created in God’s image, our emotional/psychological selves and our spiritual selves are intricately intertwined.